The epitome of style and grace by Hermes. 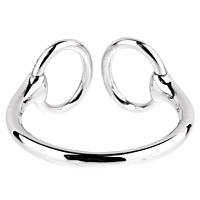 The stunning Nausicaa Diamond Cuff Bangle Bracelet is a fabulous open cuff bangle borrowing from equestrian elements. 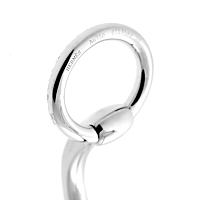 Carefully crafted in 18kt white gold, with 5.5 cts of the finest Hermes round brilliant cut diamonds, the inspiration for it's design is drawn from a classic horse bit. The unique closure includes hinged diamond circular elements.